Books • Author and violinist mines music world stories for his mystery trilogy starring a cranky Daniel Jacobus. Former Utah Symphony associate concertmaster Gerald Elias' third mystery novel, Death and the Maiden, went on sale this week. Like its predecessors, Devil's Trill and Danse Macabre, the book offers a peek inside the professional music world as protagonist Daniel Jacobus solves a dangerous murder mystery. The action centers on the dysfunctional New Magini String Quartet, whose warring members disappear one by one as they prepare for a Carnegie Hall performance that will pair Schubert's immortal "Death and the Maiden" quartet with slide projections and modern dance. In this installment, the blind Jacobus is as humorously caustic and crotchety as ever, while Elias' ability as a writer to spin yarns and create intriguing auxiliary characters has increased by another notch. The story proceeds at a languid pace early on before a big accelerando to the coda. Classical music lovers will take particular pleasure in Elias' tart descriptions of a world he knows intimately. The story turns on the backstage intrigue of a lawsuit that has soured the relationships of the musicians in a world-renowned string quartet. 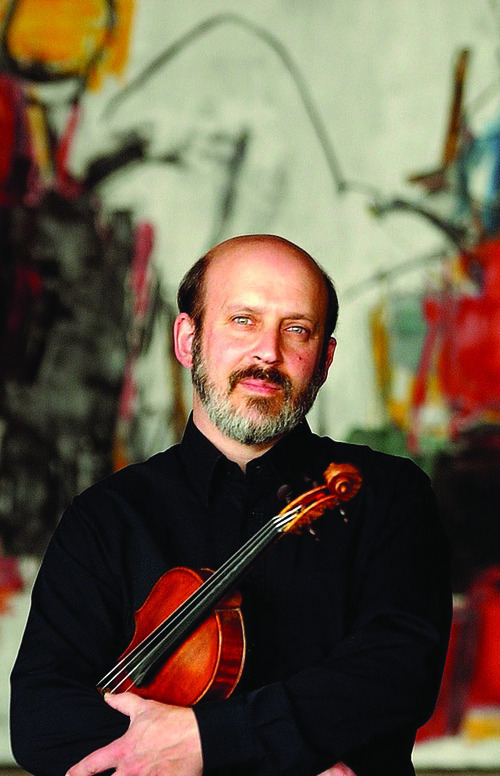 That's part of the music world Elias understands, after spending many years as first violinist of the Abramyan String Quartet with three Utah Symphony colleagues: violinist Lynnette Stewart, violist Scott Lewis and cellist John Eckstein. They started as friends  and still are, he said, despite occasional moments of overheated emotion. The upcoming fourth Jacobus mystery, Death and Transfiguration, is one his musical colleagues have been clamoring for, Elias jokes: It features the death of a conductor. The author also is contemplating possible future writing projects, such as a thriller set in Salt Lake City, as a well as a nonfiction book tracing a Paganini concert tour. The violinist will return to Salt Lake City in October as part of a six-week book tour, where he will read from the latest novel and perform his solo violin arrangement of "Death and the Maiden." Death and the Maiden is your third mystery starring the blind violinist Daniel Jacobus, who is as ill-tempered and sarcastic as he is brilliant. What life experiences helped you develop this prickly protagonist? While I view him as a product of his own tragic history, he's also sort of a collection box of all the musicians I've known over the years, but his frustrations have become major issues. In this novel, artistic goals and business imperatives collide as a string quartet seeks to please the eye as well as the ear. How much exaggeration is involved? In addition to music being an art, for professional musicians, it's also our living. We try to make the best of those things, but sometimes they come into conflict. I don't think it's exaggerated all that much in this book. There is a conscious effort by music presenters, and the artists themselves, to paint a good picture of themselves to go onstage. Competition for the entertainment dollar is a reality of the times. The plot echoes the tale of a lawsuit by a member of the Audubon Quartet, which caused some musicians to lose their homes and instruments. How did this real-life event influence your story? Your main character casts a jaundiced eye on efforts to turn classical-music concerts into high-tech multimedia events. What shaped this plot element? There was a period when the Utah Symphony was experimenting with what they called "enhancements." I remember a sort of light show with Debussy's "La Mer" in particular. [As it turned out, the orchestra scuttled its planned light show when it played "La Mer" in 2002.] Great music should stand alone, except when it was intended to be used with other genres. But I've taken the idea to a bit of an extreme in my book, for sure. You recently stepped down as the Utah Symphony's associate concertmaster. What prompted that decision? Before I get to the point where my abilities decline, I want to see someone from the younger generation take over in that role. I'm very pleased with the new musical direction for the orchestra under Maestro Thierry Fischer. His presence made my decision more difficult. What's next in your music career? Will Utah still be your home? My wife, Cecily, has been a sixth-grade teacher at Canyon Rim Academy for close to 20 years, and as long as she continues to enjoy her job, we have no interest in leaving. I'm going to continue as director of the annual Vivaldi by Candlelight series. I will continue to teach, and to go to South America each year to conduct and give performances. I'll be at least as busy as ever. You have found success in two notoriously difficult careers. Besides talent, what's your secret? I have an older brother who was naturally gifted in everything. Being 10 years younger, I always felt the need to prove myself. When it came to music, I worked really hard. When it came to writing, and whatever else I wanted to do, I really tried to do what was necessary to keep up a decent standard. I've been very fortunate to be able to do things I enjoy doing, and I consider myself lucky. 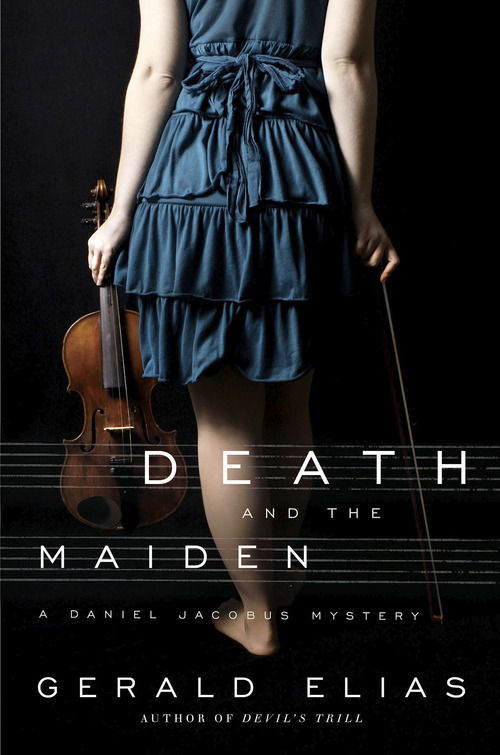 P Elias, the author and former Utah Symphony associate concertmaster, will stop in Salt Lake City this fall on his book tour to promote his newest murder mystery, Death and the Maiden. When • Tuesday, Oct. 4, 7 p.m.
Also • Saturday, Oct. 8, 2:30 p.m.